Hempstead, NY - December 29th, 2013 - The Nassau County SPCA is offering a $2,000.00 reward for information leading to the arrest and conviction of the person(s) responsible for abandoning more than two dozen baby chicks in a box outside Petland Discounts on Fulton Avenue in Hempstead, NY on Friday. "It's absolutely animal cruelty and abandonment," stated Det. Bob Sowers of the Nassau County SPCA, "People who have animals have an obligation to provide proper sustenance, a healthy, warm and safe environment." Anyone with information on this act of animal cruelty is urged to call the Nassau County SPCA at 516-THE-SPCA. All calls will be kept confidential. To Report Animal Cruelty call 516-THE-SPCA, email crueltystoppers@ncspca.us or use their online form. 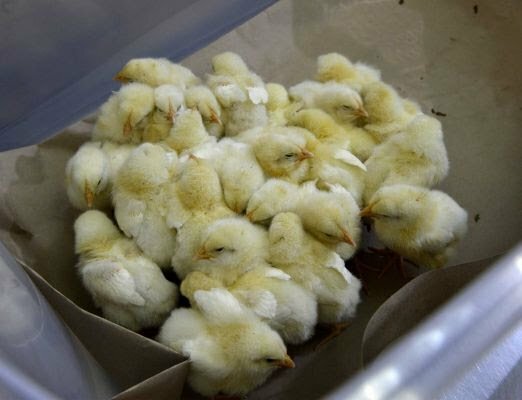 Subject: LongIsland.com - Your Name sent you Article details of "Nassau County SPCA Offering $2k Reward for Information About Abandoned Baby Chicks"